Battling a global poaching crisis, wildlife rangers believe they lack the necessary equipment, training and support from their governments to protect themselves and the world’s threatened wildlife from poachers, according to a new WWF study released today at the World Ranger Congress in Colorado, USA. 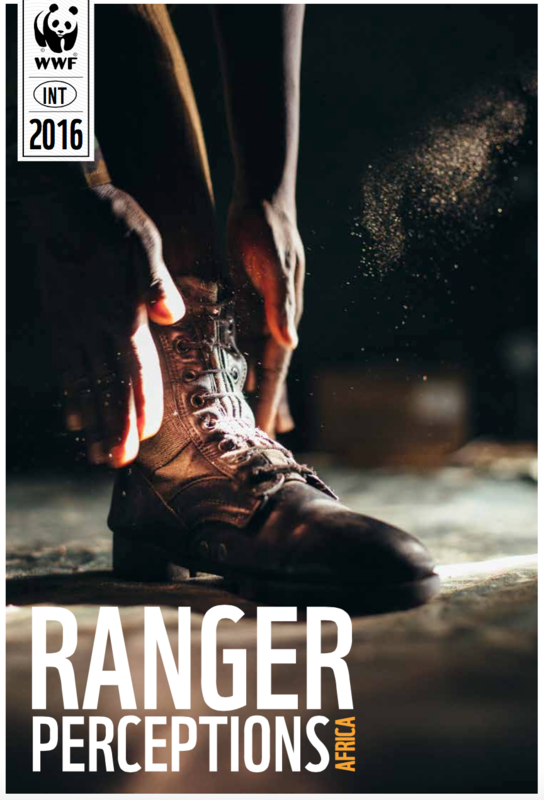 Ranger Perceptions: Africa surveyed 570 rangers across 12 African countries and found that 82 per cent had faced a life-threatening situation while on duty. But 59 per cent felt they were insufficiently equipped and 42 per cent felt they lacked sufficient training to do their jobs safely and effectively. These results echo the findings of a similar survey of Asia’s rangers, the majority of whom had also risked their lives in the line of duty and felt equally ill-equipped to perform their critical frontline tasks. 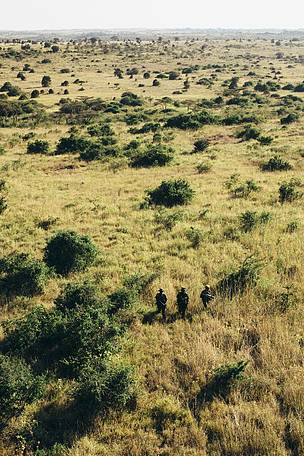 Preliminary results from a third survey suggest that rangers in Latin America face similar challenges. Last year alone, around 30,000 elephants and a record 1,338 rhinos were killed in Africa, while countless other animals were poached and trafficked, feeding an illegal wildlife trade that is increasingly being driven by international organised crime. 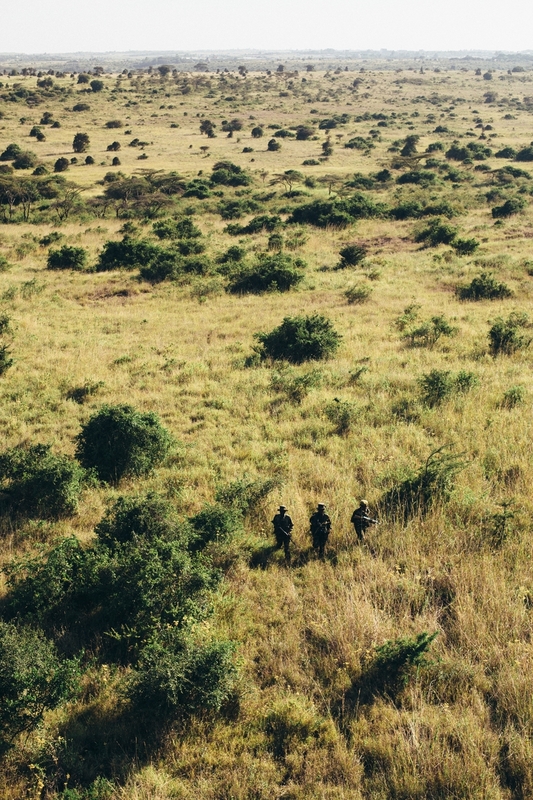 Scores of rangers are also injured or die each year, with six killed on duty in the Democratic Republic of Congo and India in the past two months. In many cases, African rangers lack not only sufficient weapons and vehicles, but also more basic necessities like boots, shelter and clean water supplies. Across the continent, there are only a few specialised ranger training centres. But it is not just a question of better tools and training, rangers also deserve improved conditions of employment and greater recognition of their work. The survey found that many African rangers have a poor work/life balance with 47 per cent seeing their families for just five to ten days a month, while rangers ranked low or irregular pay as one of the worst aspects of their job – findings that were also shared by rangers in Asia and Latin America. A separate WWF ranger insurance study of 33 countries across the globe, which was also released at the World Ranger Congress today, found that rangers are often not adequately covered by insurance. Despite the dangers of their jobs, many rangers lack health insurance (18 per cent of countries surveyed), life insurance (36 per cent) and long-term disability cover (45 per cent). 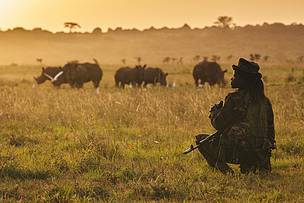 Doreen Adongo is a Ranger with the Kenya Wildlife Service in Nairobi National Park - monitoring white rhino in evening light as sun goes down.